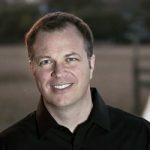 Mac Lake is the Senior Director of Planter Development for Namb and was the visionary architect for the Launch Network. Today Mac joins us to talk about leadership pipelines and how they are vital to successful discipleship and being intentional and clear with your leadership development. Every organization needs to have a clear leadership pipeline. This starts with basic discipleship which will cause people to flow upward within leadership. Your people need to be within the same language so that the pipeline and goal is clear to everyone involved. Clarity and intentionality are the main things that are important within the leadership development pipeline. Leadership development must be done with a goal that you and the person or people you are developing know about and understand. This can work for all size churches because this is simply the discipleship of leaders specifically. This is something that every church should be doing so that their leaders can have an influence on those they are disciple. We should help people live a biblical lifestyle of leadership so that they can do this in all aspects of life. How do we take action to do this? Define your leadership pipeline– Write out what the pipeline looks like. Identify your competencies- What essential skills must each level have. This is not about dumping information it is about changing a lifestyle. We need to elbow learning– Give the people in the pipeline real life learning experiences. Mac is the Visionary Architect for The Launch Network, a church planting network based out of West Ridge Church in the greater Atlanta, Georgia area. His role is to network with churches and planters to establish healthy church starts across the U.S. and the world. Their goal is to plant 1000 churches in the next 10 years.